Delivered in a colorful bud vase, the Sunny and Bright Wishes bouquet is sure to bring a smile to your recipient's face. Green trachelium is combined with a decorative smiling sunflower and accented with a red satin ribbon. 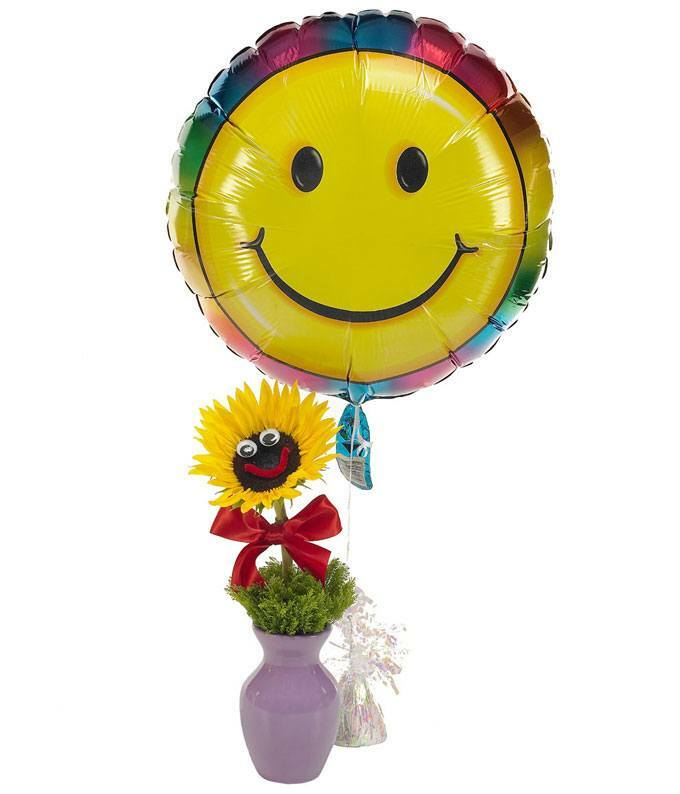 A smily face balloon is included with the bundle and is available for same-day delivery as a just because gift. Measures 14"H by 5"L.